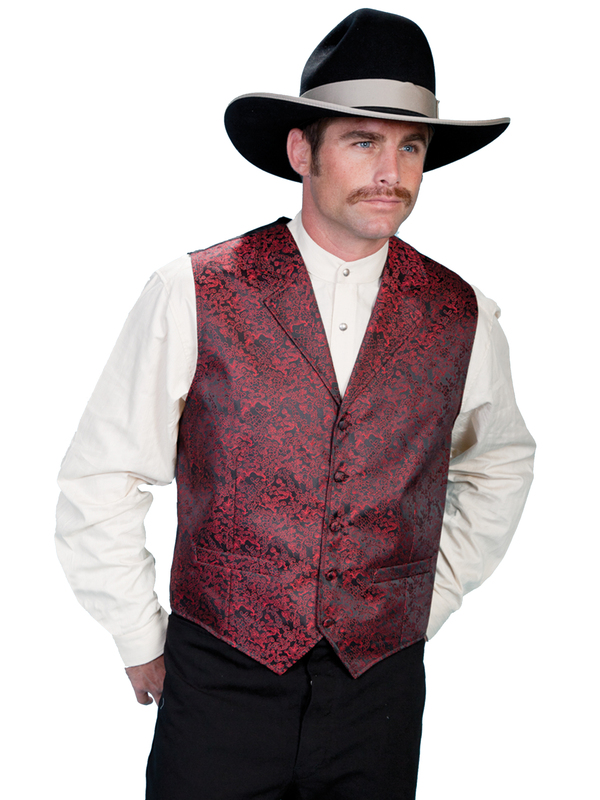 A classic vest with an elegant dragon pattern. Features notched lapels and self covered buttons. Two welt pockets for your favorite pocket watch.